Community Auditions - Star of the Day is happy to welcome Billy Costa as this year's favorite radio personality for Boston's KISS 108 FM, Billy has also hosted NECN's TV Diner, a restaurant review program, since 1992. A native of Cambridge, MA, Costa attended Merrimack College on a hockey scholarship before transferring to Emerson College and graduating with a degree in English. Costa's television career has included entertainment reporting for WBZ-4 where he won a Children's Television Award for the youth oriented talk show Rap Around, and received an Emmy nomination for his work on Evening Magazine. Billy fell in love with radio while DJ-ing at Emerson's WERS, during college. He then worked briefly at WBOS-FM, after graduating. In 1980, Billy joined KISS 108 as an entertainment and lifestyle reporter. He has been co-hosting the Matty in the Morning show with Matt Siegel, for the past 15 years, and is also the well-received host of the KISS Top 30 Countdown of Today's Hit Music. 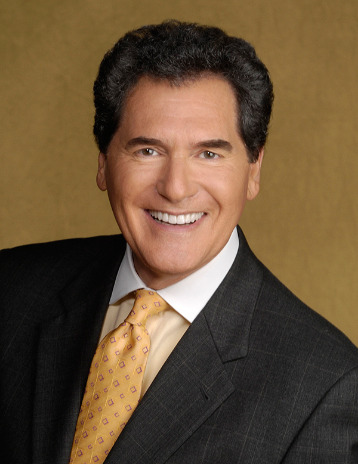 Our guest host for this season’s Finals Competition, Ernie Anastos, is a true New York television news legend. They say if you make it in New York, you have to be pretty good. But, if you make it in New York for more than 20 years, you have to be amazing! As the lead anchor at Fox 5, CBS 2 and ABC 7, Ernie has won more than 30 Emmy Awards and nominations for covering the major stories in New York City. He is the first New York anchor to receive the prestigious Lifetime Emmy Award for his outstanding contributions to television. His love of young people includes hosting entertainment shows and school specials called “Positively Ernie” on Fox TV. He is also the author of two celebrated books focusing on children and America’s youth. Ernie Anastos is recognized as a champion of more positive news and a strong voice in the changing world of media. He's also reshaping the way we watch the evening news. He has created and launched an exciting “6 O’Clock Program” that features a wide range of positive stories that include: lifestyle, education, health and wellness, social issues, relationships and more. This fall, Ernie will host “New York’s STAR OF THE DAY COMMUNITY AUDITIONS” with an exciting lineup of celebrities and fresh new talent. The show will air in the New York City area on Saturdays at 5:30PM on Fox TV.